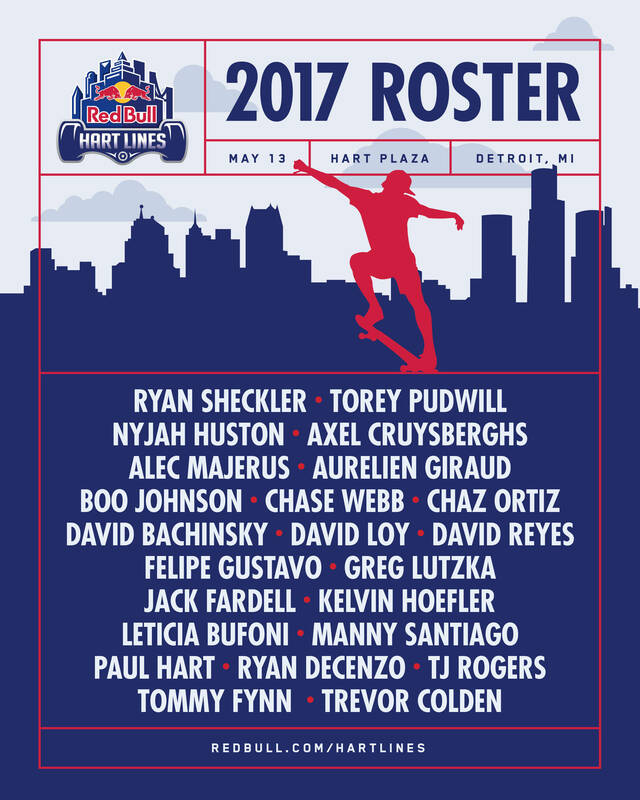 This year’s Red Bull Hart Lines is taking place on Saturday, May 13 at Hart Plaza in Detroit, MI. Red Bull has released the official roster, and it’s a doozy! This is definitely going to be a contest to remember. For more information, visit redubull.com/hartlines.